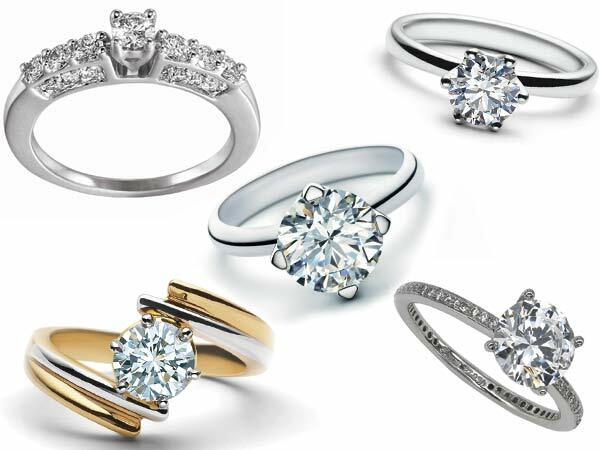 Are you someone who is planning to buy your engagement ring? Or maybe you’re planning to get the best ring for your daughter. Did you plan anything on what type of ring you should buy? Or did you think of making the final decision only after reaching the dealer? Well, if the latter is what is there in your mind, then you’re probably going the wrong way. You should plan things in mind before reaching the store so that the store owner doesn’t feel that you’re confused enough and that you can settle on anything which he asks you. Here is a style guide for getting the best engagement ring for yourself or for anyone else. Shape is the most important factor: Even before you worry about color, cut, carat and clarity, you should know the shape which the intended person prefers. If you’re buying for your fiancée, you should know the shape for which she is absolutely crazy. It is the shape that will indicate the actual geometry of the stone that you are about to buy and this will also relate to the different angles of the stone. Settings will come next: The metal framework within which your stone has been mounted can set the tone for the kind of ring that you want to wear or buy. A round engagement ring stone will get a fresh and modern makeover within a bezel setting. On the other hand, a trendy oval will look more traditional within a 4-prong setting. The key is to get the right combination of setting and shape. Try to know her style: Nowadays, the trend is to shop for rings together but if you’re someone who is more of a traditional person, you should take hidden steps to know the style of ring that he/she prefers. You can even confide in her elder sister or younger one and ask her not to inform her. Is she someone who gets attracted towards the vintage jewels or does she love classic pieces? Purchase loose stones: Unless you’re purchasing an estate ring, it is more likely that you will be looking at loose stones rather than stones within a setting. The stone is the thing that accounts for the cost of the ring and hence don’t you think you should get the most gorgeous one that you can with respect to your budget? You can get help of a good jeweller who can help you with the right decision. Shop safely: When you’re searching for a jeweller, you should take recommendations from family and friends. However, if you’re looking for an online site that specializes in rings, you may consider Trollbeads as they don an exquisite and unique collection of unique Danish design rings and jewelry. So, when you’re about to shop for rings, whether engagement or fashion, you should follow the above mentioned style guide. Settle with the best and the most credible rings from a reputed jeweller.